For gaming, both on PCs and consoles, using a competent monitor can be a safe bet. TVs are a better value if a large display is of any importance, but monitors can be found in more compact sizes at higher resolutions. While you won’t see many 4K TVs that measure under 43 inches diagonally, 4K monitors comes as small as 27 inches. What’s more, resolutions between 1080p and 4K exist in the monitor world, with QHD (or 1440p) being one of the most popular examples. So if you want a screen that fits in your cramped apartment and doesn’t compromise on visual fidelity, you’ve come to the right place. 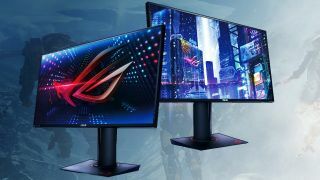 Being the Cyber Monday consumer holiday that it is, there are a vast assortment of monitors still left on sale. Of course, now that Black Friday is behind us, this may be your last chance to take advantage of discounts this steep. Before long, these deals will be dead in the water, quite possibly until they’re resurrected for next year’s gaming hardware clear-out.